The ENERGIES of the New Era create big changes in your physical world. People stand up everywhere and demand change. People have had enough of misuse of power and manipulation, which among other things has meant that your leaders mostly have talked about changes, but in reality not achieved them. Environmental aspects are more in focus than ever. Just as the humans your fantastic planet has had enough of your ravaging of her resources since long back. People have assumed the freedom to violate her physical resources and just as other lightbeings she has allowed this to go one without protesting. However, your planet has now had enough. Just as you she sees a new truth when the light of the New Era sweeps in. She is strongly protesting via storms, hurricanes, earthquakes and hard to extinguish fires. She will continue to protest until humanity has come to its senses and that no leader in the world regardless of how large and strong he thinks he is will be able to stop her. 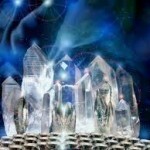 As light beings you can feel light of the New Era at an emotional level, which is very bewildering. Loads of energy is dislodged from your old fragments. The love for yourself is stronger than ever, however, for many of your fellow humans love seems like gone. You experience that you clearly can see the old chains you have carried and the obvious existence of the slavery. You can see how the old energies have enslaved you and how this has expressed itself in your life in a way that makes you feel sick. You HAVE been enslaved by the dark energy. You have seen yourself and all that is through a filter that has been adjusted in a way that has made yourself less worthy than others. This disclosure makes you sick and angry. The old times have been very unfair and awful from the perspective of the new energy. Those that have had the power to use you, and others that have been oppressed by the low energy, has used you and the system on Earth. You can now see that you have defended many of these power abusers to yourself and others. You have forgiven them and maybe even felt sorry for them as you have assumed that they have not understood better than to hurt others and now you shiver of anger when you see the situations from a new perspective. You can see how you have accepted how others have treated you and good fellow humans badly and when you now stand up and say that you have had enough these abusers of power have the gall to try to find new ways to manipulate you again. There are large changes going on and changes create “unrest in the camp”, as you might put it. Those who earlier have had the power will with all means possible try to get you back to your old timid position without success. You will perhaps be met with condescending comments regarding your new self. Many masculine men are now very surprised and discontent over how their former female fellow humans speak up and together they try to get back the power by ignore and call stupid these women. In truth they will not get anywhere. 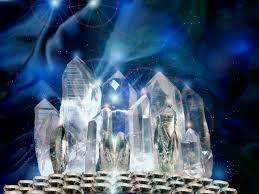 Women have in general more feminine energy then men and are very sensitive to the New High and Powerful Energies. In most countries in the West women have been very controlled by men. They have allowed men to oppress them as they themselves have been imprisoned by the old energy in the belief that they are less worthy. However, the men will have to get used to women taking over the tiller in the world. Scores of women stand ready to shoulder the new leadership in the world and it through the women that the resources of Earth and compassion will become the focus. Many women and men with much feminine energy experience right now that you have become heartless, angry and inconsiderate according to your own measuring stick. However, this is only during a transitional phase as the anger gives you power to achieve this large change. The continued existence of Earth will be saved and you will be part of saving it by standing up for yourselves and the feelings that you now are being filled with. Each human has a mission in this enormous change of life on Earth. The turbulence you feel within you right now is powerful and good.